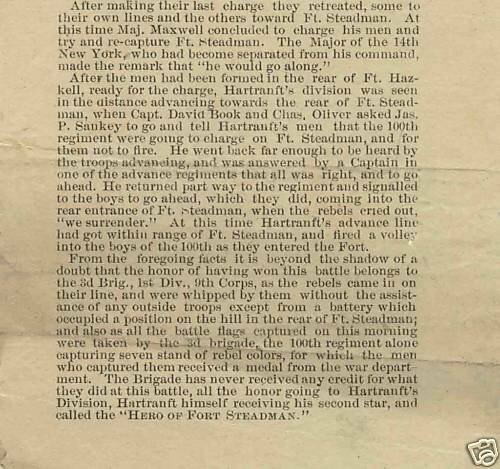 Fort Stedman: "Then and Now"
1. Fort Stedman from the northeast, near today's parking area. 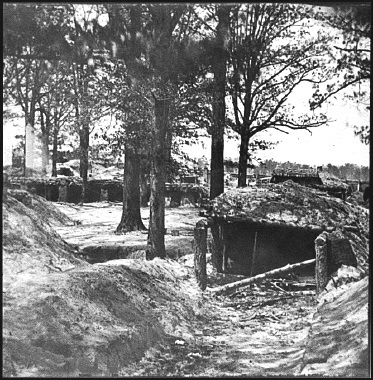 This photograph shows the northern end of the fort, formerly Battery 10. the Roundheads would have advanced from the left and pushed about a quarter of the way across this photo from left to right; the 200th and 209th Pa. advanced from where the picture is taken. 2. Fort Stedman from the eastern side of the works, looking south. This photo clearly shows the southern end of the fort. The Roundheads attacked the trenches in this photo. My guess is that this is the area where the two Medals of Honor were won. 3. The northwest bastion of Fort Stedman. This is a closeup of the cannon shown in photo #1. The cannon point west, toward the Confederate line. The 200th and 209th Pa. were engaged here. 4. A view of the same cannon from behind them looking west. Note: In all the photos, there are more and thicker trees than in 1865. The immediate area around the fort was much more open then. Congressional Medal of Honor Roundheads Joseph P. Chambers and Charles Oliver, who received their medals by their heroic actions at Fort Stedman. A couple of years ago I put this marked up bird's eye aerial view from Bing.com maps showing Fort Stedman and the position of the 100th PA at the time of the March 25, 1865 battle. 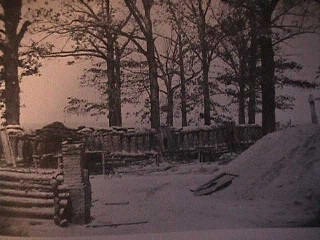 Civil War Trust Fort Stedman Page This is a fantastic site full of information and maps related to Fort Stedman. 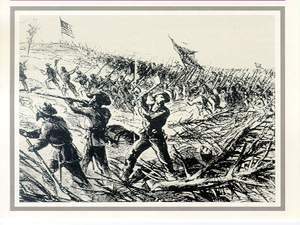 This page and many others like it for other Civil War battles is sponsored by Civil War Trust, an organization dedicated to Battlefield Preservation. http://www.craterroad.com/fortstedman.html A page created by craterroad.com. http://www.beyondthecrater.com/. 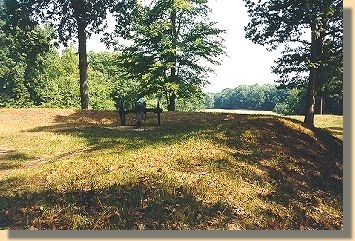 Brett Schulte's website/blog for all things related to the 1864-1865 Siege on Petersburg, including the Battle of Fort Stedman. 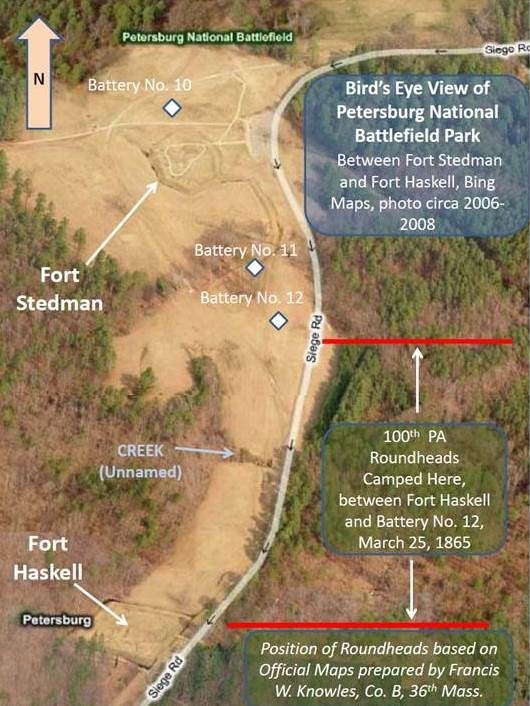 http://petersburgsiege.org/stedman.htm Petersburgsiege.org webpage on Fort Stedman. 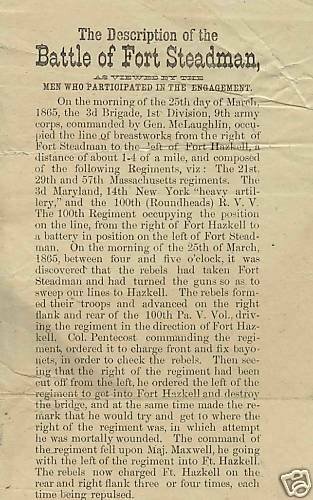 Fred Ray's article in America's Civil War Magazine, "Pre-Dawn Assault on Fort Stedman"